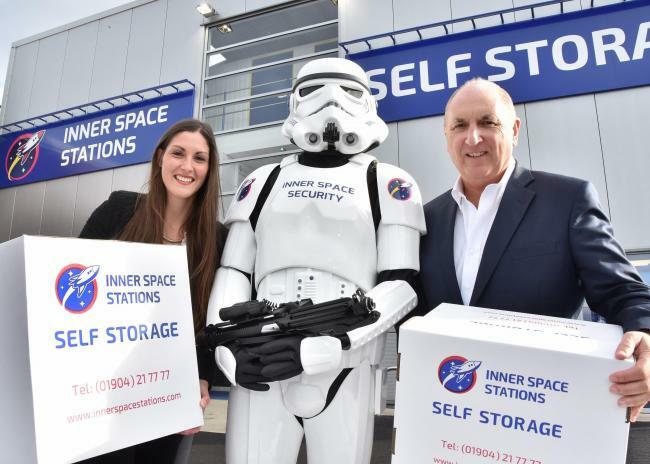 A YORK businessman who runs a petrol station and garage venture in the city has invested more than £1.3 million in creating a self storage facility as he grows the offering of Inner Space Stations. Graham Kennedy, who started the Inner Space Stations business 30 years ago, and runs a garage in Hull Road, has launched a new three-storey self storage facility in Layerthorpe. The new venture, which offers secure storage with 24-hour access, has created five new jobs for the company. The building used to be the site of National Windscreens and now has 200 internal storage units. Mr Kennedy said: “Having dipped our toe into the ‘storage’ market a few years ago with external storage containers, we feel we have identified a gap in the market. “Making self-storage accessible 24 hours a day gives people the flexibility to access it at any time, especially as we’re in a great location just five minutes’ walk from York city centre. Inner Space Stations has developed a unique brand based around Mr Kennedy’s fascination with space and sci-fi. Daleks and Stormtroopers guard the entrance and the space theme extends to the storage units, with each unit size named after a different planet in the solar system. Inner Space Stations includes the Hull Road garage, car wash centres, car parking, property investments, unmanned container storage sites and the new Self-Storage facility.